Southeast Asia is a region people have been fascinated with for centuries. Each area presents a unique culture with a brilliant history and a dynamic way of life. Indigenous religions mix with those imported from south Asia and beyond. Cuisines assimilate each visiting culture that they contact. Ecological beauty is celebrated not only for its aesthetic worth, but also what it represents on a spiritual level. Take a trip that will leave you inspired and transformed. A UNESCO World Heritage site, Borabadur is a brilliant example of religious devotion. 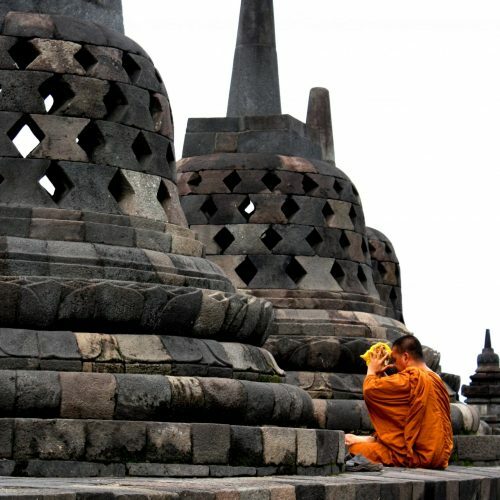 Built in the ninth and tenth centuries, the architectural style represents the fusion of indigenous cultures with those of south and east Asia, representative of culture in Indonesia as a whole. Located on Kedu Plain, which sits over a thousand feet above sea level, the area is considered a sacred area within local Javanese mythology. This area is profound in numerous ways and spending time here is a must for all visitors to Indonesia. 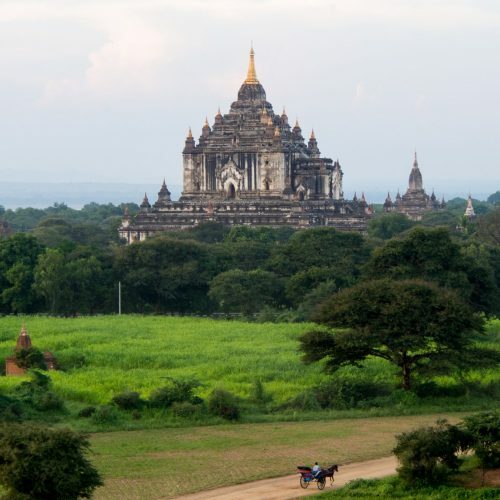 Bagan is one of those locations that each turn seems to unveil an even more amazing site then the one before. Constructed between the ninth and thirteenth centuries, the pagodas have seen the rise and fall of numerous leaders and political regimes only to persevere as a vibrant site of Buddhist devotion. Bagan is a must see for any visitor to Myanmar and is worthy of at least a few days in order to soak in the breath-taking beauty of this area. The Angkor Wat temple complex, which includes countless shrines dedicated to both Hindu and Buddhist icons, was constructed over hundreds of years. It remains intact today in a way that facilitates both experiences of wonder and a realization that the world we live in is impermanent. 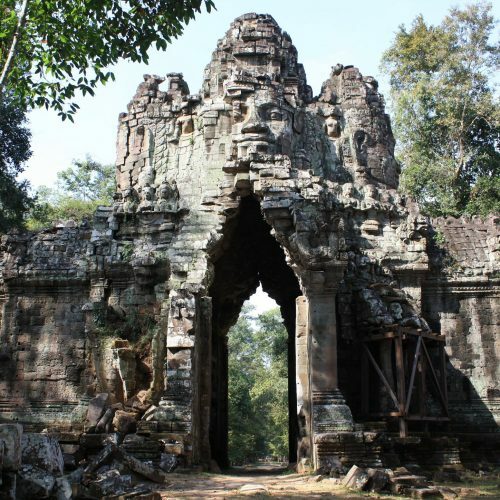 The temples can be visited by foot, bike or electric vehicle, making it accessible for nearly everyone who wishes to visit. 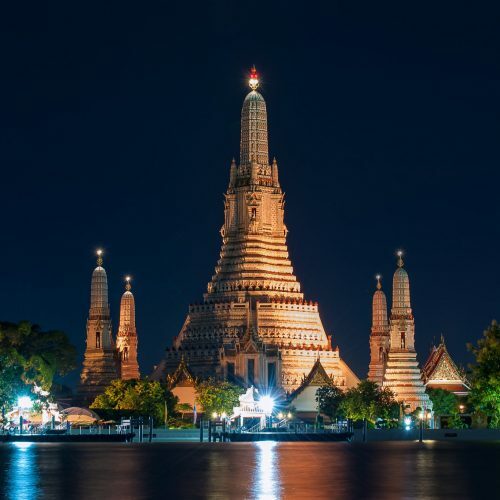 Bangkok is filled with urban temples, visited both by local Thai devotees as well as international visitors. In no other urban location in Southeast Asia can you see so many inspiring religious centers than here. Bangkok also has a handful of urban Dharma centers that provide excellent instruction in meditation and Buddhist philosophy, should you be interested. 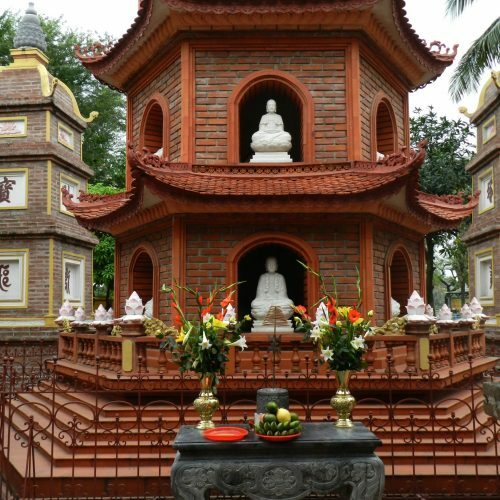 Located on a small island off the shore of Hanoi, Tran Quoc Pagoda is the oldest Buddhist shrine of its kind in Vietnam. It has housed a small community of monastic Buddhist practitioners since its construction over sixteen-hundred years ago. Located in the heart of Hanoi, this temple is a perfect place to be introduced to the rich Buddhist history of Vietnam, as well as engage with practicing monks. Many of Thailand's beaches have become overrun with tourists, resulting in environmental degradation and uncomfortable settings. We have located a few islands, however, including Ko Payam and Ko Chang, that are more responsible in how they operate. 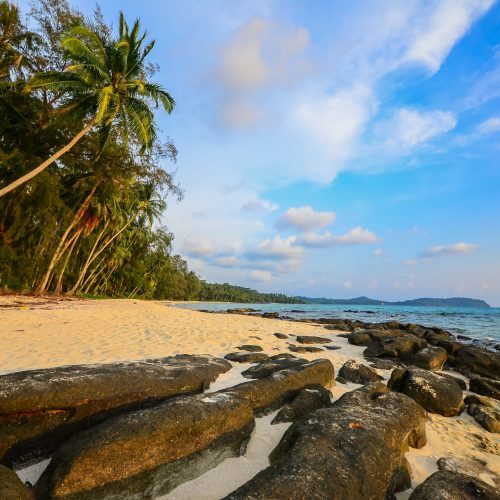 In turn, whether you are interested in modest resorts or rustic camping, we can help you find the perfect Thai beach experience.